When talking about a holiday in Lisbon, usually a list of the same “standard” sights comes up. True Insider tip for Lisbon are rare. 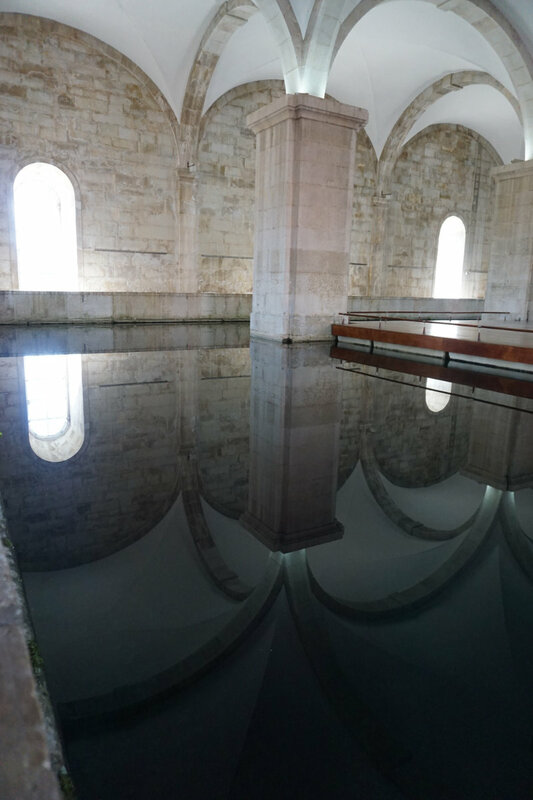 However, we found our secret tip for Lisbon - and it has to do with water. Actually, there was a time where water was scarce in Lisbon and the surrounding areas. 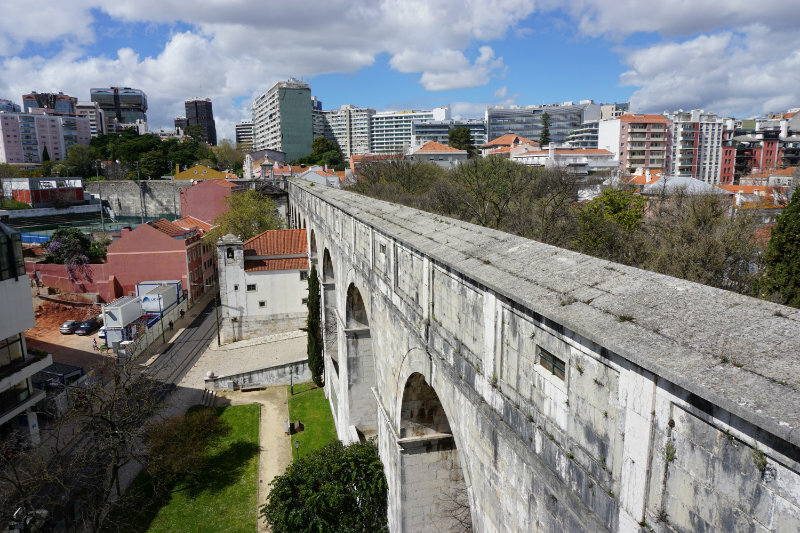 Until an aqueduct was completed in Lisbon in 1799 after 19 years of construction. 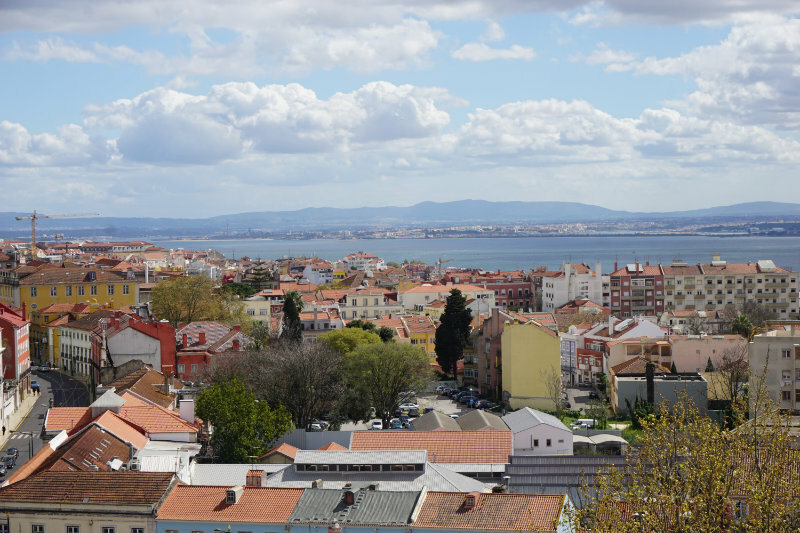 King João V had decided that the new water pipeline for Lisbon should become a masterpiece. He stated that an elaborate bridging across the Alcantara Valley should become an architectural milestone. Today, 21 round and 14 pointed arches span the valley with a span width of 29 meters. And this masterpiece even survived the great earthquake of Lisbon. 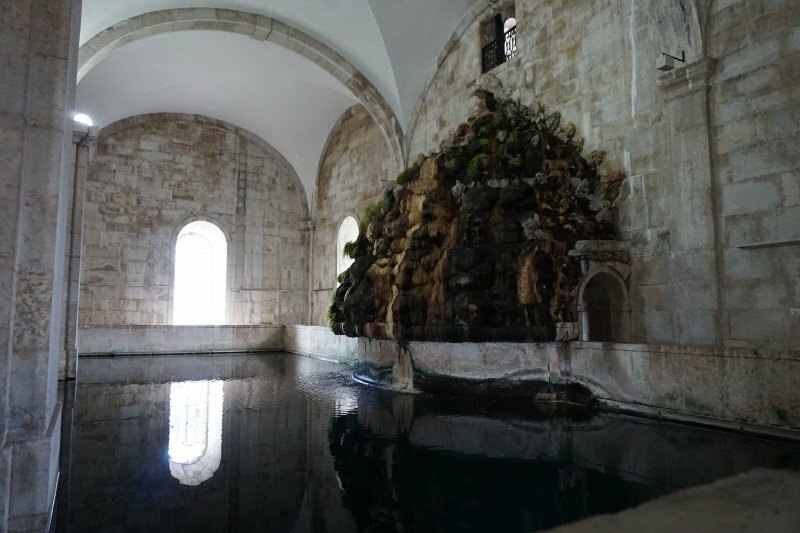 The water was passed above and below ground to the reservoir Mãe d'Água. Since 1968 the aqueduct is no longer in use. Today, the aqueduct rises high above the warren of the valley and forms a wonderfully quiet counterpoint. By train, we went to Campoide station and from there we took the bus 702 to our secret tip in Lisbon (other buses are 712, 742, 751, 758). The bus stops near the entrance, which can be reached on foot in about 5 minutes. 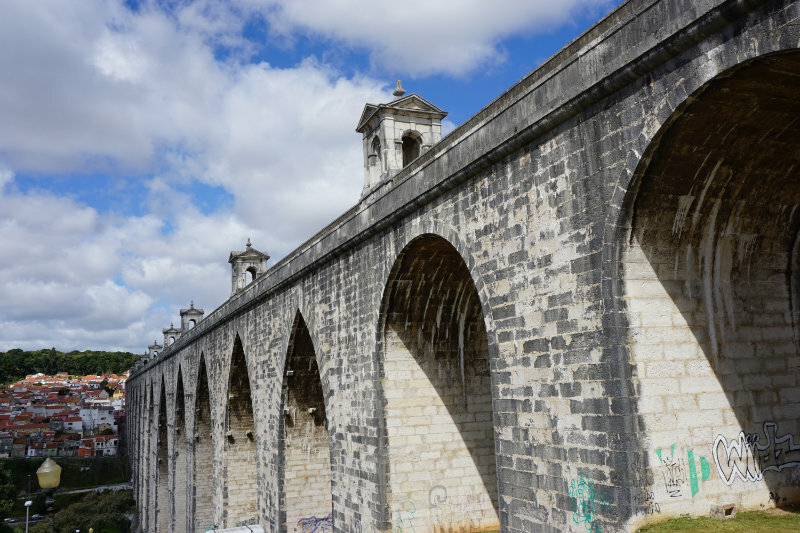 Our insider tip for Lisbon is a walk on the Aqueduto, the Águas Livres. We arrived at the very unobtrusive entrance at noon and were the only visitors. A lonely employee greeted us and informed us about the entrance fee of 3, - € per person - quite cheap. The aqueduct is 65.29 meters high and can still be walked on for a length of 940 meters. The walkway runs on both sides of the enclosed interior area. A look into the inside of the aqueduct is also possible. Here one can still very well see the bearing surfaces for the old water pipe systems. It is truly a grand view from up here. You can see as far as the bridge of the 25th of April and (admittedly very small and far away in the centre) the Christos statue. If you follow the water through Lisbon, you can still see some remnants of the old water supply system. 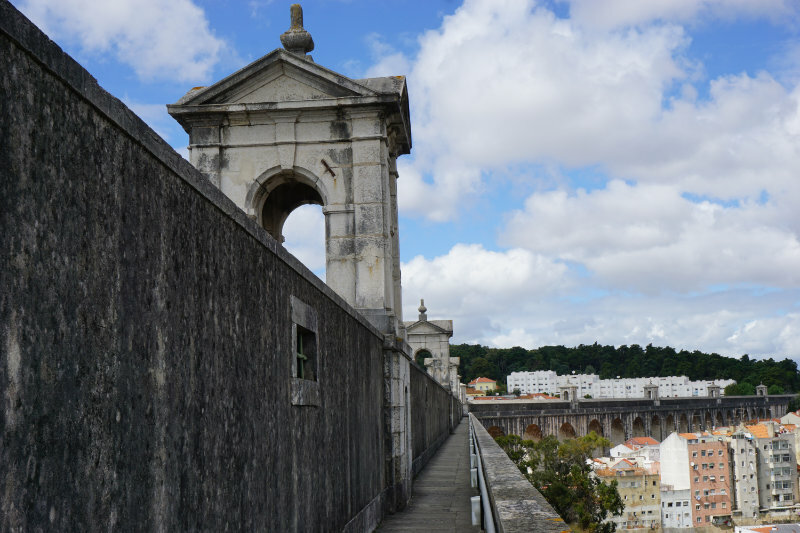 The reservoir Mãe d'Água, roughly a 30-minute walk from the aqueduct, is another secret tip for Lisbon. 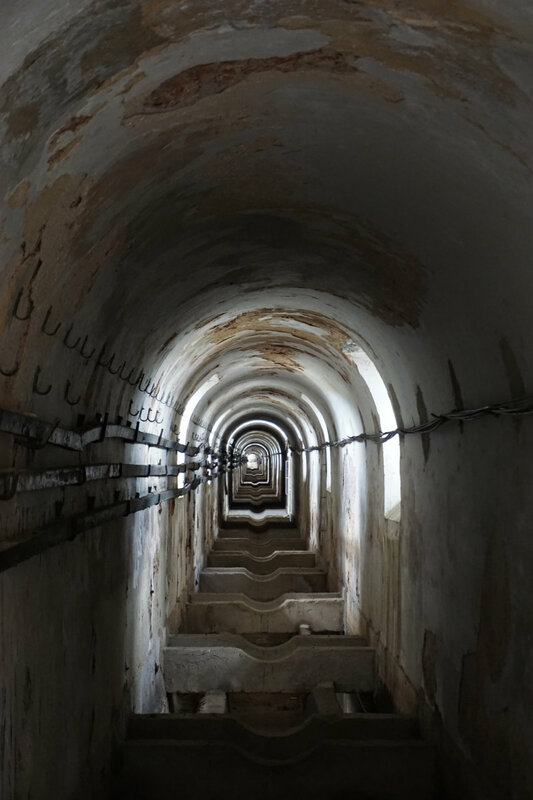 The reservoir was built in 1746 to collect and distribute the water from the open aqueduct. In the building, there is a huge water tank. It is 7.5 meters deep and holds 5500 m3 of water. When you enter the building, you will first notice a giant rock, over which the water flows into the basin. The basin itself catches not only the water but also the light. And when the light comes in at just the right angle, it creates beautiful reflections on the architecture. Again, we were almost the only visitors. 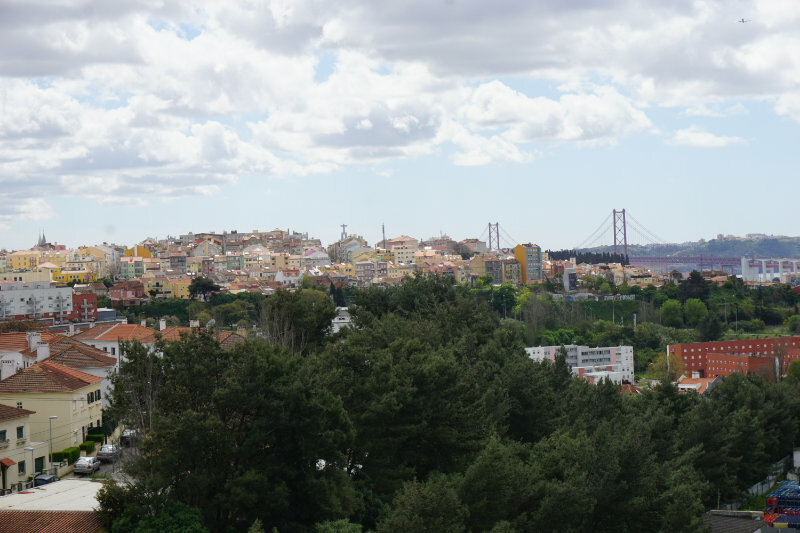 Over narrow stairs, we reached the roof of the reservoir and enjoyed a great view over the city and the Tagus. In the other direction, we saw some remains of the aqueduct in the cityscape. One certainly does not need to spend a lot of time here to get the picture, but we liked the visit, especially because it is not visited by many and therefore very quiet. leaflet at the entrance. Some fountains, other reservoirs and the pumping station are described here, most of them can also be visited.